BlackJack Switch is quite an unorthodox type of this game, as it allows players to switch the last card dealt between two hands played. You can enjoy the thrill of getting a natural hand of 21 dealt way more often! Of course, there’s a hook to having this highly player favourable rule in place – the payout for a natural hand is 1 to 1 and dealer also hits on soft 17. However, if you are up for giving up a bit more house edge, this is a no brainer. I’m a passionate lover of BlackJack myself and this game really got me hooked from the moment I first played it. So how does the switch of cards work exactly? Well, you place a wager exactly the same way as you would in a normal type of this game. Note that playing at least 2 boxes is a requirement in this game – just so you would have an ability to switch cards. Once cards are dealt, the standard options of ”hit”, ”stand” and ”double” are all available, but there’s also a button ”switch”, which does exactly that, switches the last cards dealt from one hand to another. So this game type actually somewhat mixes a poker game and BlackJack, which I personally favour a lot, since I’m a player of both. Ready to get into the action and feel the thrill that is offered by this switch game? Perfect, as I’ve prepared two great casino sites for you! Both of them are strong brands, are powered by PlayTech and will reward you with generous bonuses! Bet365 Casino is the first one on this list and offers a dozen of BlackJack game types. Not only that, but their customer service and bonuses are second to none. Yes, their welcome bonus might not be as sizable as the ones offered by other casinos (it’s $500), but their loyalty programs and bonuses easily top that off. Join now and enjoy having more than 10 different types of this game available, including switch, and play them using the instant, downloadable or mobile version of Bet365! Play BlackJack Switch – $500 Bonus! Winner Casino is also a great place to join and have your first playing experience. I would actually advice this casino over the last one, if you are a new player. This is due to the fact that all new players who open their account now get $/£30 FREE added to their accounts – no deposit required, nothing! However, if you do want to make a deposit, make sure it’s a sizable one as Winner offers a lucrative welcome bonus of up to $2,000 in free cash! 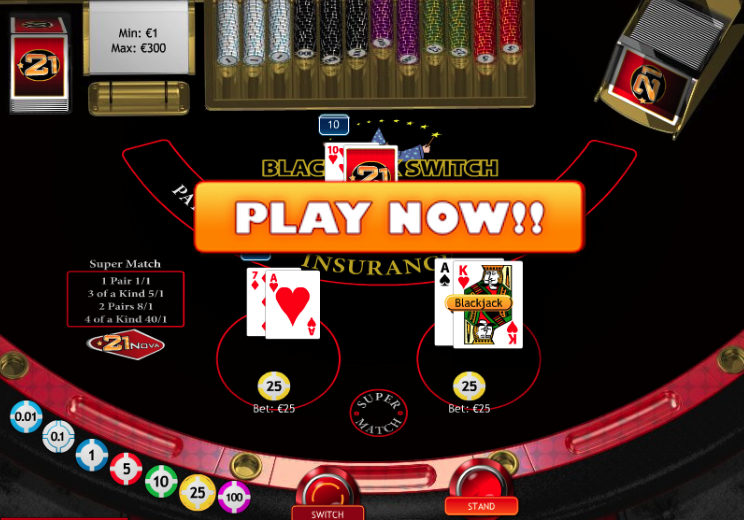 Try BlackJack Switch – $/£30 FREE!